pressing on toward the goal, remembering Jacob and Mandi. The Mountain View Hiking Group is based out of Tumwater Washington from the Mountain View Church of the Nazarene. This hiking group does at least one activity each month from February through October. Most events are in Western Washington and are open to everyone. You do not need to be a member of our church. Just show up for the hike. 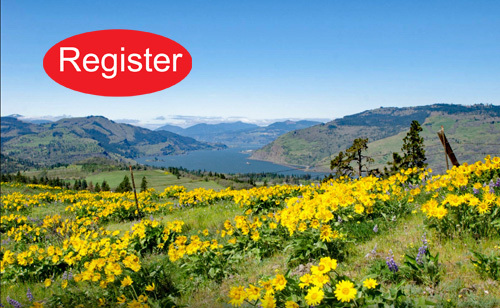 Join us as we head to the eastern end of the Columbia River Gorge to see the spring wildflowers and take in the views on this hike to Memaloose Hills. 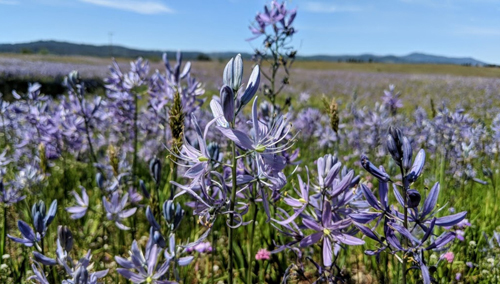 A wide variety of wildflowers cover the hills each spring, with the majority being balsamroot, lupine, Columbia desert parsley and paintbrush. Like many of the hikes in this area of the Gorge, one should be cautious of rattlesnakes, ticks and poison oak. Check out the links on the event page for more information on how to hike in tick, rattlesnake, and poison oak country. Registration for this hike will open up on Sunday, April 7 at 10:15am. Join us for Prairie Appreciation Day at the Glacial Heritage Preserve. This preserve is only open to the public one day a year. Come see the wildflowers that are native to our lowland prairies as we saunter through the trails and exhibits. Registration for this hike will open up on Sunday, April 28 at 10:15am.